Self own Garment manufacturing & Fabric printing factories. Our manufacturing unit is located in prestigious Garment zone of Sitapura Industrial Area of Jaipur, where availability of qualified manpower and competitive quality suppliers of accessories, fabric and other service are available on immediate requirements as on order. Also company also own its printing factory in sanganer which ensures quick processing and availability of processed printed fabric for garment production efficiently. 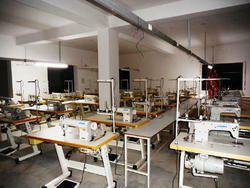 Self owned factory in Garment zone, EPIP, Sitapura Industrial Area, Jaipur. 100 stitching machines, Knitting plant, Steam pressing plant, Washing plant. 1500 Yard Factory & 25000 Sq. Feet..
Tailors, Manager, Fashion Designer, Quality Controllers, Checkers, Packers. 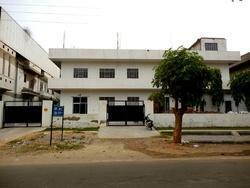 Self owned factory with printing capacity of 50,000 – 75000 mtr fabric / month. 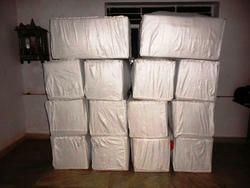 We have maintained a capacious warehouse in our factory as to ensure the fulfillment of bulk requirements of our buyers. It is properly maintained under the vigilance of our experienced warehousing personnel, who ensure that all the consignments are safely stored. We have segregated this unit into various sections so as to ensure the categorical storage of the garments with records on daily basis. Our specialized packaging and distribution facilities use superior and durable quality of packaging materials ensuring that our apparels are not damaged during transit. Along with usage of right packing material, we have association with well known transporters and C&F companies which ensures timely delivery of consignment along with telephonic confirmation from buyer of the receipt of confirmation.